Now recognised as one of the tastiest food festivals around, CuCo were delighted when approached to design and build the new website for the Christchurch Food & Wine Festival. Since it’s debut in 2000, the festival has gone from strength to strength and this hot-as-a-chilli foodie extravaganza is a much-loved annual event for the people of Dorset, Hampshire and beyond. CuCo delivered a website that instantly portrays the right brand message for the festival, one that would bring the event to life. 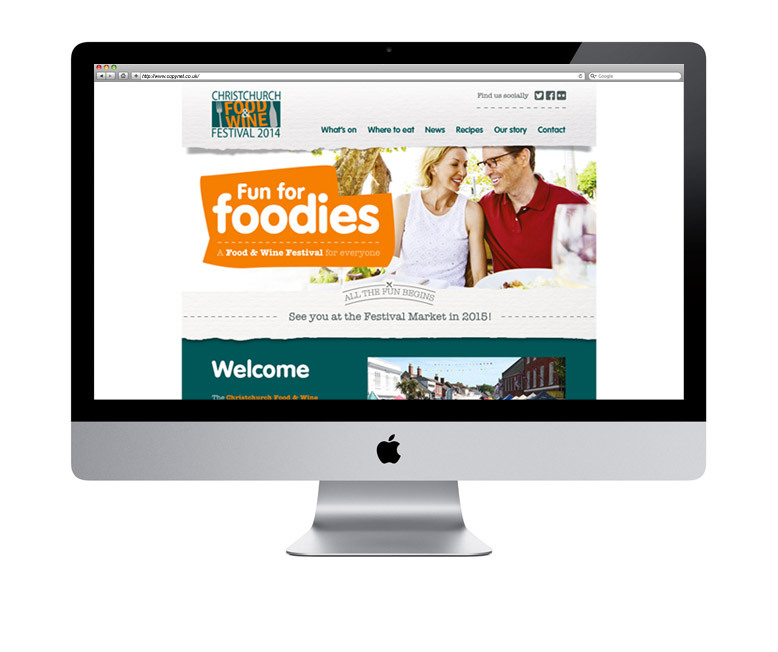 The website now allows visitors a taste of just what the festival is all about. Easily navigated, informative and attracting impressive traffic, the new website appeals to target audiences as diverse as young families to elderly couples. Responsive and beautifully intuitive, over 55% of the website’s traffic comes from mobiles and tablets. The website is built on CuCo’s preferred website solution, WordPress, the user-friendly, SEO-optimised CMS. 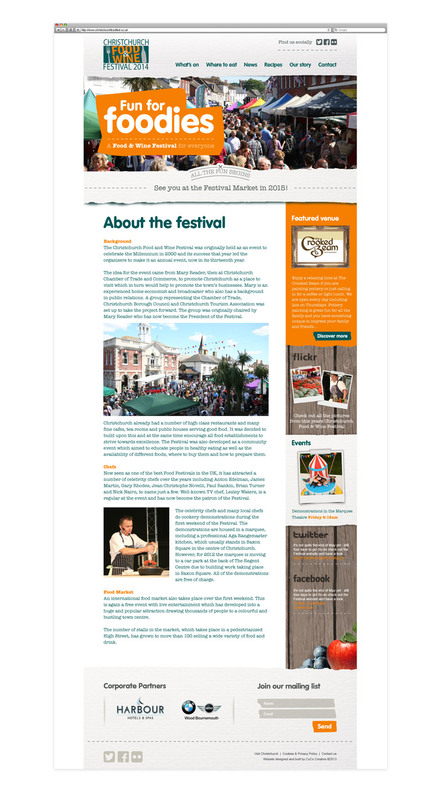 The response to the new website has been great, with tens of thousands of food lovers flocking to the town for the festival’s 15th anniversary. If your brand is in need of a new website design and/or built, get in touch with CuCo today on 01202 911959 or email us at hello@cucocreative.co.uk – We’d love to help! Previous Post: Outbreak! Plague At The Dungeons!